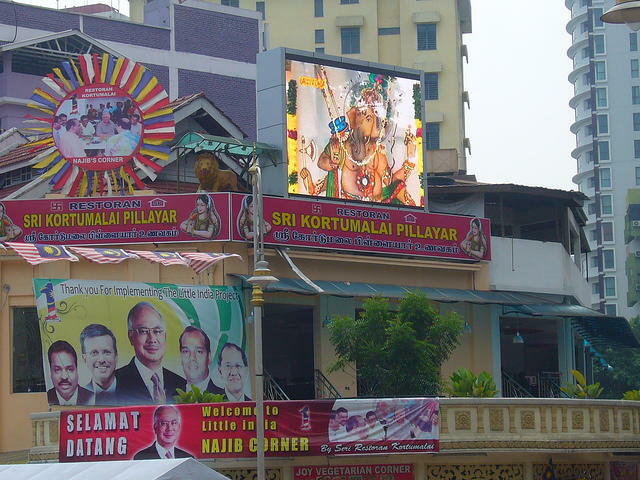 Sri Kortumalai Pillayar is one of the famous Indian banana leaf restaurant located at Brickfields, just along Little India. 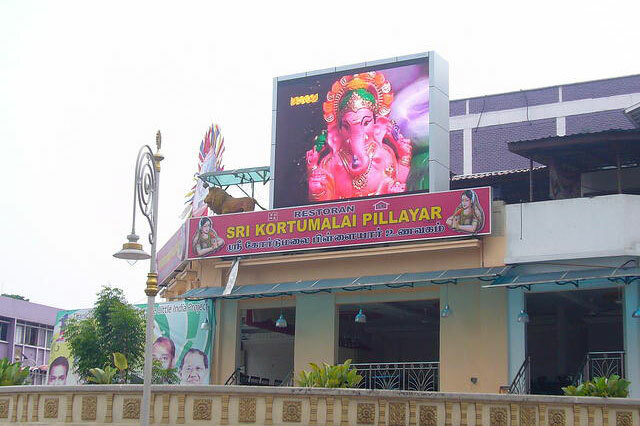 LEDtronics installed a LED display of size 3.8 m (H) x 4.8 m (W) at the rooftop of the restaurant, as an important form of advertising to help its business to attract customers. The installation was successfully completed in September 2012. Vibrant colors using 12mm pitch, 2000+ Hz and 6,000 nits.